In the “Tribune” of yesterday I discovered a little editorial paragraph in relation to Colonel [John] Wentworth of Illinois, in which, in relation to the boundary of Texas, you say: “All Whigs and many Democrats having ever contended it stopped at the Nuces.” Now this is a mistake which I dislike to see go uncorrected in a leading Whig paper. Since I have been here, I know a large majority of such Whigs of the House of Representatives as have spoken on the question have not taken that position. Their position, and in my opinion the true position, is that the boundary of Texas extended just so far as American settlements taking part in her revolution extended; and that as a matter of fact those settlements did extend, at one or two points, beyond the Nueces, but not anywhere near the Rio Grande at any point. The “stupendous desert” between the valleys of those two rivers, and not either river, has been insisted on by the Whigs as the true boundary. Lincoln and Greeley were themselves curiously alike – both gawky and odd in appearances, both largely self-taught, both schooled in farming (though Lincoln abandoned those skills while Greeley prided himself on his agricultural expertise), both strong Whigs, both great admirers of Henry Clay, both skilled word craftsmen but indifferent businessmen, both knowledgeable about human nature, both abstemious in their personal habits. Like Mr. Lincoln, Greeley neither drank nor smoked. Greeley himself was in perpetual financial trouble – and in virtually constant search of a public position. His political ambitions got in the way of his political relations. He was angry with Senator William H. Seward and political manager Thurlow Weed for blocking his pretensions for statewide office in 1854. These tensions came to a head in May 1860, when Greeley did his best to block Seward from winning the Republican presidential nomination. Greeley came to the Republican National Convention as an Oregon alternate. 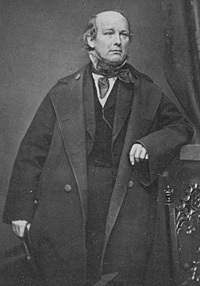 Although he favored Edward Bates, he was even more strongly an opponent of William Seward. And thus, the net effect of his politics was to favor Abraham Lincoln. The political tables were reversed in early 1861 over a Senate vacancy in New York. 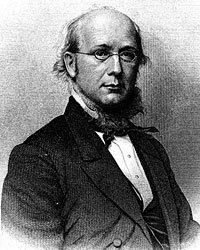 In early February, Mr. Lincoln wrote Weed denying that he favored the election of Horace Greeley to the Senate: “The gentleman you mention, did speak to me of Mr. Greely, in connection with the Senatorial election, and I replied in terms of kindness towards Mr. Greely which I really feel, but always with an express protest that my name must not be used in the Senatorial election, in favor of, or against any one. Any other representation of me, is a misrepresentation.”13 When Weed lacked the votes to elect his own candidate, William Evarts, he threw his votes to Judge Ira Harris to block Greeley’s election. Weed’s enmity to Seward and Weed had been unrelenting ever since they blocked him from becoming a candidate for lieutenant governor of New York in 1854. On the way back to New York, Greeley wrote Mr. Lincoln. According to Harlan Hoyt Horner, “After repeating what he had undoubtedly said to Mr. Lincoln in their interview, that he did not want anything for himself, Greeley intimated that it would be difficult for the President, in view of Seward’s presence in the Cabinet, to do justice to the anti-Weed Republicans in the distribution of patronage in New York. He naively suggested that the President recognize the two ‘wings’ or factions and alternately recognize them in appointing New Yorkers to office. Lincoln might in this way settle all New York appointments ‘in a single sitting’ and thus promote sadly needed party unity. Then in a postscript, Greeley proceeded to recommend candidates for district attorney, surveyor of the port, and government printer.”15 In other words, the same day that Greeley wrote that he asked nothing for “friends,” he wrote Mr. Lincoln asking three jobs for friends. Rather than respond directly to Greeley, Mr. Lincoln published his reply as an open letter in a Washington newspaper, the National Intelligencer. “In his letter Mr. Greeley employed language that was intemperate and even dictatorial. Mr. Lincoln’s immediate friends were astonished that he should appear in a newspaper, in reply to a letter addressed to him,” contemporary biographer Noah Brooks later wrote.21 The newspaper itself was an odd choice, argued Robert S. Harper because “it was only lukewarm to the Lincoln administration and made no secret of its sympathy for the slavery system. Lincoln might have chosen it to tease Greeley.”22 It certainly was teasing since it raised the possibility of emancipation – which President Lincoln was to turn into reality with a draft proclamation less than a month after his reply was published in the Intelligencer. This is my seventh sleepless night – yours, too, doubtless – yet I think I shall not die, because I have no right to die. I must struggle to live, however bitterly. But to business. You are not considered a great man, and I am a hopelesly broken one. You are now undergoing a terrible ordeal, and God has thrown the greatest responsibilities upon you. Do not fear to meet them. Can the rebels be beaten after all that has occurred, and in view of the actual state of feeling caused by our late, awful disaster? If they can, – and it is your business to ascertain and decide – write me that such is your judgment, so that I may know and do my duty. And if they cannot be beaten, – if our recent disaster is fatal, – do not fear to sacrifice yourself to your country. If the rebels are not to be beaten, – if that is your judgment in view of all the light you can get. – then every drop of blood henceforth shed in this quarrel will be wantonly, wickedly shed, and the guilt will rest heavily on the soul of every promoter of the crime. I pray you to decide quickly and let me know my duty. If the Union is irrevocably gone, an armistice for 30, 60, 90, 120 days – better still for a year – ought at once to be proposed, with a view to a peaceful adjustment. Then Congress should call a national convention, to meet at the earliest possible day. And there should be an immediate and mutual exchange or release of prisoners and a disbandment of forces. I do not consider myself at present a judge of anything but public sentiment. That seems to me everywhere gathering and deepening against a prosecution of the war. The gloom in this city in funereal – for our dead at Bull Run were many, and they unburied yet. On every brow sits sullen, scorching, black despair. It would have been easy to have Mr. Crittenden move any proposition that ought to be adopted, or to have it come from any proper quarter. The first point is to ascertain what is best that can be done – which is the measure of our duty, and do that very thing at the earliest moment. Mr. Lincoln again proved a much better friend to Greeley than Greeley was to him. Greeley persisted throughout August to try to set up an alternative convention to replace Mr. Lincoln as the presidential candidate. Greeley wrote privately: “Mr. Lincoln is already beaten. He cannot be elected. And we must have another ticket to save us from utter overthrow.”31 Only General William T. Sherman’s conquest of Atlanta and General George B. McClellan’s nominationat the Democratic National Convention prevented saved President Lincoln from further action by Greeley and his co-conspirators. During the presidential campaign, Mr. Lincoln sent word through an upstate Republican politician that Greeley might be appointed Postmaster General in the next administration. Greeley’s attitude toward the Lincoln administration improved, albeit temporarily. 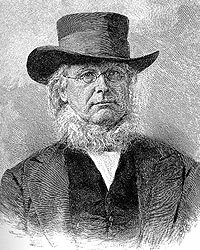 “On April 14,  Horace Greeley chanced to meet his friend, George G. Hoskins, in New York and took occasion to remind him that he (Greeley) still was not Postmaster General. Hoskins, feeling his word was in jeopardy, boarded a train that evening for Washington,” wrote Robert S. Harper in Lincoln and the Press. “After Hoskins left, Greeley wrote an editorial on Lincoln, a blistering attack. He sent the copy to the composing room, had it set up, proofed, and slugged to go in the next morning’s paper. Then he went home, leaving Sidney Gay, managing editor of the New York Tribune, in full charge for the night as was his regular custom.”34 That night Mr. Lincoln was assassinated and Gay spiked the editorial. James M. Trietsch, The Printer and the Prince, p. 202. James M. Trietsch, The Printer and the Prince, p. 51. 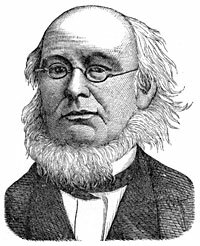 William Harlan Hale, Horace Greeley: Voice of the People, p. 130. 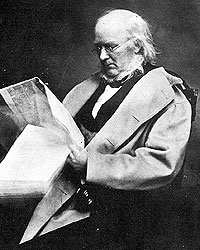 Rufus Rockwell Wilson, editor, Lincoln Among His Friends: A Sheaf of Intimate Memories, p. 442 (Horace Greeley, Century Magazine, July 1891). Horace Greeley, Recollections of a Busy Life, p. 226. Roy P. Basler, editor, The Collected Works of Abraham Lincoln, Volume I, p. 493-494 (Letter to Horace Greeley, June 27, 1848). William E. Barton, The Life of Abraham Lincoln, Volume I, p. 397. Roy P. Basler, editor, The Collected Works of Abraham Lincoln, Volume II, p. 456 (Letter to Charles L. Wilson, June 1, 1858). William Lee Miller, Lincoln’s Virtues, p. 334. Harlan Hoyt Horner, Lincoln and Greeley, p. 24, 26. Harlan Hoyt Horner, Lincoln and Greeley, p. 30. James M. Trietsch, The Printer and the Prince, p. 163 (New York Tribune, February 6, 1861). Harlan Hoyt Horner, Lincoln and Greeley, p. 194. 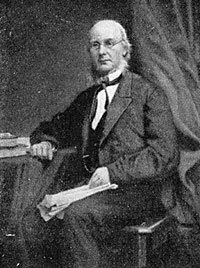 Rufus Rockwell Wilson, editor, Lincoln Among His Friends: A Sheaf of Intimate Memories, p. 449 (Horace Greeley, Century Magazine, July 1891). James M. Trietsch, The Printer and the Prince, p. 175. David C. Mearns, editor, The Lincoln Papers, p. 611 (Letter from Horace Greeley, May 19, 1861). Horace Greeley, Recollections of a Busy Life, p. 358. Harlan Hoyt Horner, Lincoln and Greeley, p. 263-267. Noah Brooks, Abraham Lincoln: The Nation’s Leader in the Great Struggle Through Which was Maintained the Existence of the United States, p. 305. 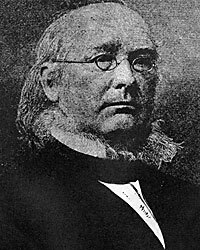 Rufus Rockwell Wilson, editor, Lincoln Among His Friends: A Sheaf of Intimate Memories, p. 455-456 (Horace Greeley, Century Magazine, July 1891). William E. Barton, The Life of Abraham Lincoln, Volume II, p. 74-75 (Letter from Horace Greeley, July 29, 1861). Roy P. Basler, editor, The Collected Works of Abraham Lincoln, Volume VII, p. 494 (Letter to Henry J. Raymond, August 15, 1864). Thorndike Rice, editor, Reminiscences of Abraham Lincoln, p. 436 (Chauncey Depew). Shelby M. Cullom, Fifty Years of Public Service, p. 101. Michael Burlingame, editor, Lincoln Observed: Civil War Dispatches of Noah Brooks, p. 181 (April 12, 1865). Harlan Hoyt Horner, Lincoln and Greeley, p. 321. Harlan Hoyt Horner, Lincoln and Greeley, p. 351. Michael Burlingame, editor, With Lincoln in the White House: Letters, Memoranda, and Other Writings of John G. Nicolay, 1860-1865, p. 159-160 (Letter to Horace Greeley, September 15, 1864). Michael Burlingame, editor, With Lincoln in the White House: Letters, Memoranda, and Other Writings of John G. Nicolay, 1860-1865, p. 162 (Letter to Horace Greeley, October 4, 1864). Robert S. Harper, Lincoln and the Press, p. 347. Horace Greeley, Recollections of a Busy Life, p. 407. Rufus Rockwell Wilson, editor, Lincoln Among His Friends: A Sheaf of Intimate Memories, p. 461 (Horace Greeley, Century Magazine, July 1891). Rufus Rockwell Wilson, editor, Lincoln Among His Friends: A Sheaf of Intimate Memories, p. 456 (Horace Greeley, Century Magazine, July 1891).